THE air was smoky and the winds were fierce as evacuated residents from Aura and Little Mountain tentatively relocated back into their homes this morning. As they surveyed the impact around the streets, Paul and Laura Wilkinson said they felt the area was not yet out of the woods. The couple, along with their daughter Eva, evacuated from their home on Bluegrass St about 5pm yesterday. "It came right up to the back fence," Laura said. "It looked like it was coming straight at us...the scary thing is, when you leave home, what you want to pack. "We grabbed photos, passports, and our pets." 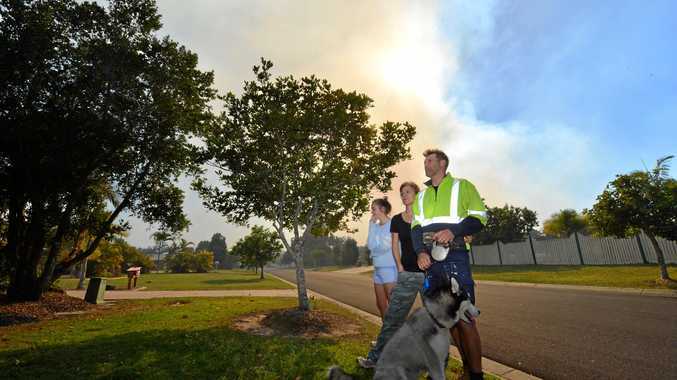 Shaun Nimmo, however, opted not to vacate his house, instead staying with his dogs while his kids were looked after by their grandparents in Little Mountain. The Aura resident praised police and other emergency service workers for their efforts around the area. "I wasn't too worried," he said. "There were heaps of police and they told us all the options, and then they took down my details when I said I was going to stay. "Every time there was a gust of wind (the flames) would go up...it was crazy. 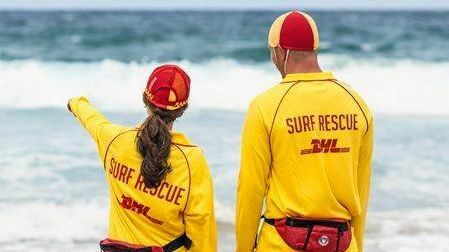 "I'm from the bush so I've had worse, but how often do you see a fire in Caloundra?" Neighbour Mary Neihus also opted to remain at home, watching television while the smoke billowed throughout the evening. "We have been in Ash Wednesday fires in Melbourne and fires at the Blue Mountains, and my husband was in Cyclone Tracy so he was quite cool and calm," she said. "Our son was taking photos of it from Currimundi and our other son could see it from Little Mountain, and they were quite worried. "They wanted us to evacuate. "We have been at the Coast since 1989 and haven't seen a fire like this here before."